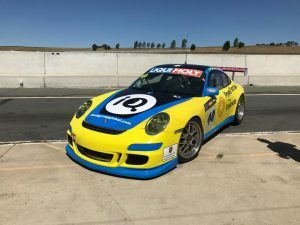 While Mark Caine has contested events at Mount Panorama in the past, nothing compares to the challenge he’ll undertake when he lines up for his first crack at the Liqui Moly Bathurst 12 Hour this weekend. Not only is it Caine’s first 12 Hour, but it’s also his first sports car race. 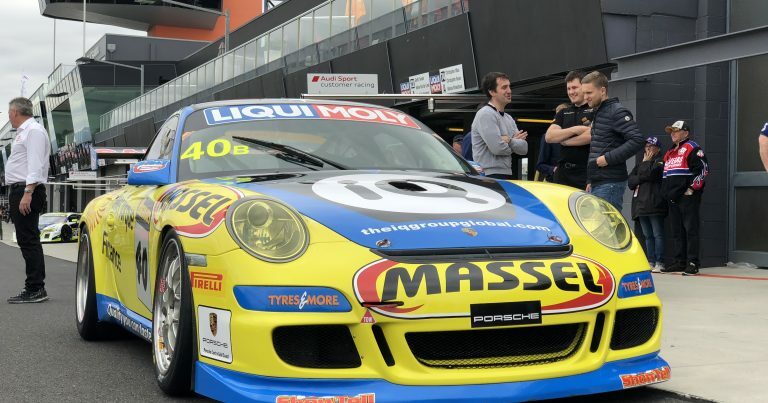 In previous visits to the Mountain, he’s contested the NSW Production Touring Car Championship, or the Hi-Tec Oils Bathurst 6 Hour, where he’s enjoyed great success. 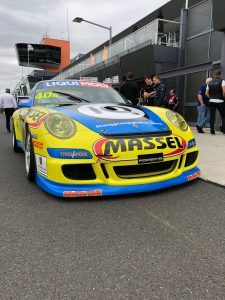 In 2015, he scored victory in class during the NSW Production Touring Car Championship round at the Bathurst Motor Festival, driving a Class A2 Holden for Trevor Mirabito’s TLA Racing. In 2016, he scored Class D victory with Chris Reeves in the Triple Zero Racing Toyota 86, and backed it up last year with second in the same class, this time with Jimmy Vernon, in the Shockwave Signs Motorsport Toyota 86. As he returns to Bathurst in 2018, Caine is excited by a whole new challenge. The Sydneysider will team up with Aaron Zerefos, Garry Mennell and Kean Booker in the On Track Motorsport Class B Porsche 997 GT3 Cup entry, in this weekend’s 12 Hour. 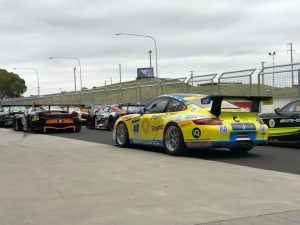 Caine is the inexperienced campaigner in this four-driver entry, as he hasn’t raced a Porsche prior to this weekend, but is embracing the learning curve, and chomping at the bit to get out on circuit during Practice on Friday morning. 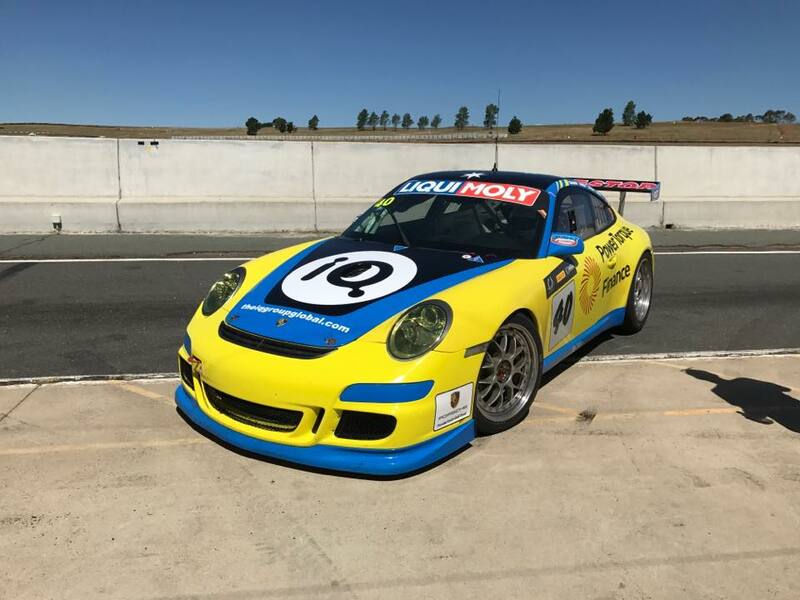 In a recent test day at Goulburn’s Wakefield Park, Caine had valuable time behind the wheel, learning the car, adjusting to steering a right-hand drive vehicle. and was in awe of the grunt and horsepower the Porsche possesses. Since announcing the drive early last month, Caine has been in training to prepare for the day-long marathon on Sunday, and has been working with the On Track Motorsport team to ensure he’ll be as comfortable as possible when he takes to the track in practice. He’s also been building a strong rapport with the three men with whom he’ll share the car on Sunday, Zerefos, Mennell and Booker, all of whom has previous 12 Hour experience, most notably Zerefos who is no stranger to GT racing. both here and abroad. Cars will take to the circuit this morning at 8:25am for a 30-minute opening practice session, with a further three 45-minute sessions to follow. On Saturday morning, a final practice session will be held before qualifying, with Sunday’s round the clock classic commencing from 5:45am AEDST. 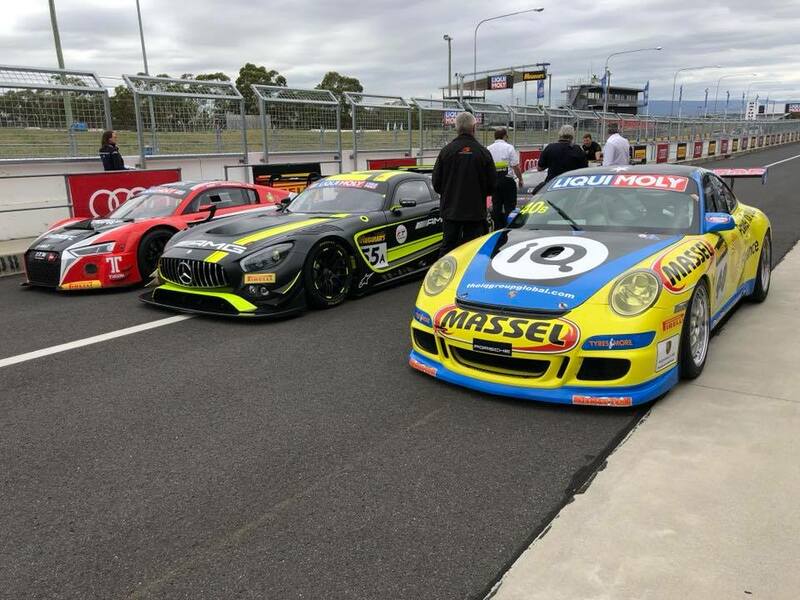 You can follow Mark’s progress across the weekend via the Bathurst 12 Hour website, where live timing will be available all weekend, with live stream coverage across Saturday and Sunday as well. In Australia, audiences will be treated to LIVE coverage from Seven Sport, who’ll present the Top Ten Shootout and Race in FULL on 7MATE. In New Zealand, Sky Sports will present flag-to-flag coverage. 5:45am | 2018 Liqui Moly Bathurst 12 Hour.